I'm still catching up with all the news that I missed during that long holiday weekend - and I realize I need a late pass on this one in particular - but RIP Jonas Bevacqua of LRG. 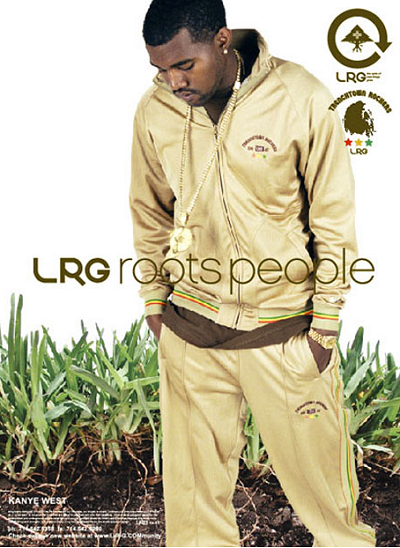 While I can say that I never have owned a piece of LRG clothing, I can say that there contributions to the industry have been unparrelled. From their old school advertisements featuring underground artists in XXL and The Source in the early 2000's, to penetrating the Bloomingdales market, to their Dead Serious hoody - they have done it all while not sacrificing their roots. Miss Info posted a nice interview that Jonas did with Karmaloop back in 08 where he shares his thoughts on the "limited edition" sub-culture in addition to his thoughts on selling out - check the video after the jump.